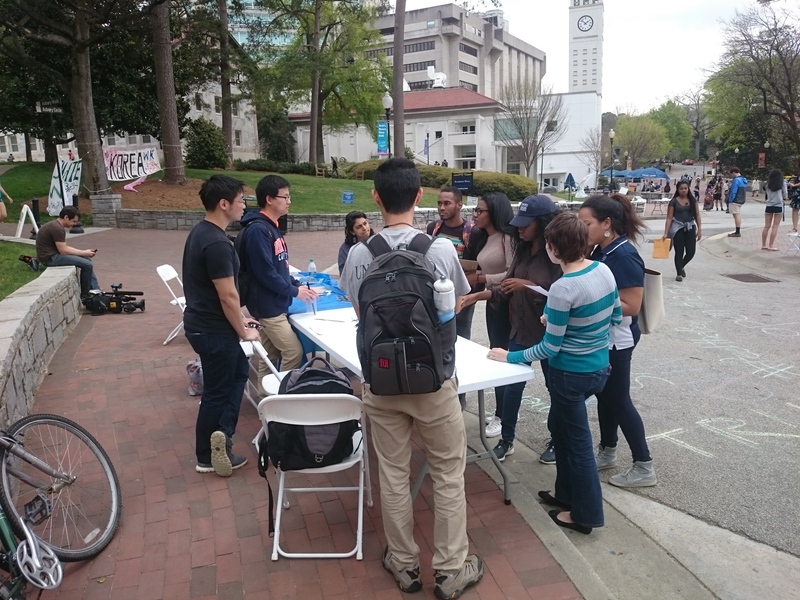 Emory University President James Wagner has expressed his support of free speech —in chalk— following the controversy over chalk messages written on campus last week in support of Republican presidential candidate Donald Trump. President Wagner’s supportive message comes after students from Emory’s Young Americans for Liberty (YAL) chapter and a separate, non-partisan coalition of Emory alumni began parallel initiatives asking Emory to overhaul the university’s restrictive speech codes and officially commit to protecting free expression on campus. The pro-Trump chalkings, which appeared on campus early last week, upset some students who said Trump’s name represents an anti-minority message that makes them feel “unsafe” on campus. Wagner initially vowed to “investigate” the chalkings, before walking that statement back amid public criticism. 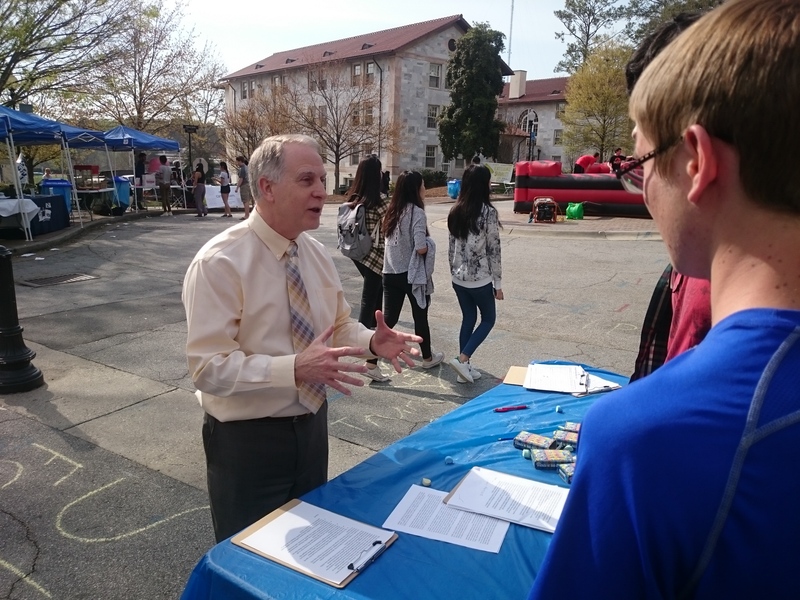 Alex Reibman, president of Emory’s YAL chapter, said his group held the tabling event on campus last Friday where they asked students to sign a petition encouraging Emory to commit to free speech while also addressing true threats on campus. Reibman said student signatories came from numerous campus groups and political ideologies, noting that a number of students who protested the Trump chalkings signed the petition. No longer does Emory University serve as a beacon of intellectual diversity attracting some of the best and brightest young adults from across the world, much as it attracted us. Instead, Emory has become just another school in the well-documented pattern of universities that have surrendered to the demands of a vocal few that emotional comfort, ideological conformity and yes, “safe environments” trump fundamental notions of free speech. Critical thinking and exposure to other opinions are unwanted. But this does not have to be how the story ends. It is vitally important that we respond to this trend by reaffirming our foundational notions of freedom. Unfortunately, President Wagner and Emory University have thus far failed to rise to the challenge. Walker, the letter’s co-author, told FIRE that as an Emory undergrad, being able to discuss sometimes divisive political issues with friends who disagreed with him was an important part of his education. “My Emory experience, which I look upon fondly, was periodically defined by eruptions of illiberal behavior from various student groups, although nothing as shrill and totalitarian as we are witnessing today,” Thayer said, adding that Emory administrators used to err on the side of free speech. “Nowadays they seem inclined to appease the worst intolerant and alarmist instincts of some students, while undercutting the foundations of free speech, tolerance, and a robust debate, which should thrive at a university. Emory alumni interested in sharing the letter or getting involved can do so through the group’s Facebook page or by contacting Matthew Walker (mbennett.walker@gmail.com) or Ed Thayer (ethayer3@gmail.com). Students interested in learning more about the initiative by Emory’s YAL chapter can check out the group’s Facebook page.